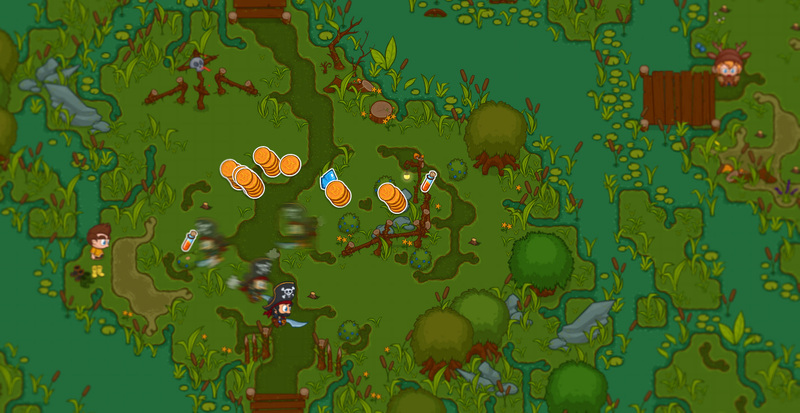 Bush Whacker 2 is a game of bushes, swords, lightning, and what happens when they all meet. Collect hats, capes, and critters. 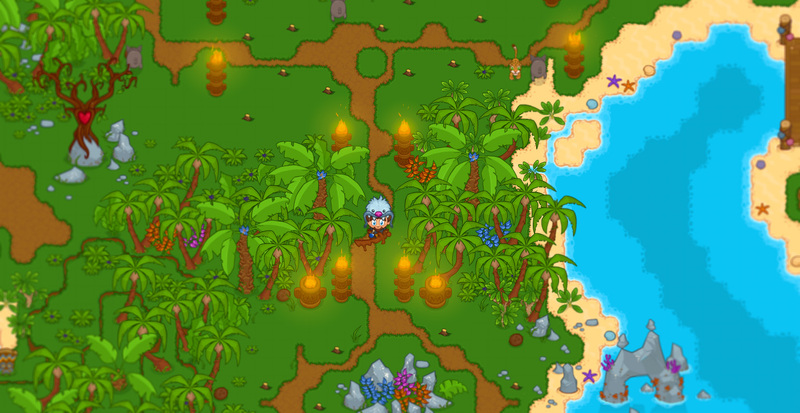 Customize your house and explore the wide open world of Bush Whacker! Expansive world to explore and help all sorts of cool people. You're their hero. Bushes never die. They just keep respawning. Why won't they just go away? Events. Tons and tons of events for you to do. Collect all the rewards before time runs out! Tags: bw2, april 2019, release notes. - Now show a popup saying "You already have the max number of friends, and cannot add any more!" when you open the request dialog via clicking to invite friends, if you have the max number of friends. This should reduce some invite spam players are seeing. - Fixed various reported typos and quest descriptions. Keep the reports coming! Celebrate Bush Whacker 2's 7th Anniversary! Tags: bw2, april 2019, anniversary, 7th. As some of you may know, April 18th marks the day BW2 was first released. We sometimes run a full Anniversary event, but this year, as with other years where Easter doesn't come early, we're dialing the party back to a small developer celebration in the Commons where the Theater currently stands. Much like the 5th anniversary, you'll be able to get cake, buy items from past anniversary celebrations from Nick, and complete Georgia's quest to get 2 new developer gnomes. The celebration will start at 9 AM (PDT) on Wednesday April 17th and end at noon (PDT) on Friday April 19th. Don't miss out! Lastly, we'd like to thank you for being such an amazing community. Tags: event, easter, bw2, new content, egg hunt. The Easter Bunny is back in town to bring the friendly competition of his egg hunt! That's what Easter is all about, right? The yummy chocolate eggs! Every 8 hours, you can compete against 4 residents of the Commons in the Easter Egg Hunt! Plus, after your first Hunt of the day, you can hide eggs to set-up for the next hunt and whack monsters to keep the fields safe for the children! Having trouble winning? Why not use some bonuses, available from the shady character in the wizard hat in the Event Area. Boosts are available for purchase for Easter Tokens after you complete your first Egg Hunt of the event. Help make the eggs with the three turn-in stations! With all the Unpainted Eggs, Dye and Wax, we can make some pretty egg designs! Chef Elza will have her bevy of recipes for you to help her prepare to have an awesome Easter feast! Speaking of Easter feasts, lambs are so very cute, aren’t they? Help Lambchop save her fellow fluffy lambs from ending up on Easter feast tables. Grab Jelly Beans and Peeps every 20 hours for extra Easter progress and tokens! Plus, each of the turn-in station owners will have a bonus quest for you to complete, and you'll get to help the poor confused soul deal with Easter moving around. You can help one character make a Chocolate Easter Egg, because who doesn't need more sugar? And you'll be able to make a custom hat! This year, you'll be able to get the hats for both genders for completing the quest for Hyatt the Hat Maker! Finally, don't forget to help a bilby evict some invasive bunnies... a lot of them. It starts tomorrow, Saturday April 13th, at Noon Pacific Time to give you time to finish it. If you can complete the event, you'll earn this awesome 100% reward carousel critter for your ranch! The World Wide Easter Egg Hunt has been updated for this year! You can find up to 90 Eggs, hidden in new spots, depending on your progress in the game. There are a total of EIGHTEEN possible achievements to earn in the Easter 2018 event. Winner, Winner! - Win the Easter Egg Hunt. You can do it! Greedy! - Win the Easter Egg Hunt with a perfect score. Easter Feasting - Help the Chef prepare for the Easter feast! Basket Weaving 101 - Complete the Easter Reeds quest 5 times. Pro Egg Designer - Help 40 times at each of the Egg Stations. Lambs against Lamb - Help Lambchop protest certain feast choices. World Wide Hunter - Find 5 eggs during the World Wide Egg Hunt. Chocolate Egg Maker - Help Edna make her own chocolate Easter eggs. Hyatt's Hats Hustler - Help Hyatt unlock his passion for creating hats! We also have 7 achievements from previous years which may be earnable by spending Bush Bucks if you missed getting them the first time around. Eggregious Purchases - Purchase all the 2018 Easter custom items. Easter Item Exodus - Purchase all the 2017 Easter custom items. Easter Decorator - Purchase all the 2016 Easter custom items. Gone Egg Crazy - Purchase all the 2015 Easter custom items. Easter Token Finder - Purchase all of the 2014 Easter custom items. Eggtacular - Purchase all the 2013 Easter custom items. *The Easter mini-golf piece is not included in the Easter Earner achievement. COMING SOON! Keep an eye out for the sale pop-up! The event will run until Friday April 26th 2019 @ 1pm PDT. Plan your attack for finding all the Easter eggs here! How do I participate in the Easter Egg Hunt? Talk to the NPC under the Easter Egg Hunt banner to be teleported to the hunting zone. What do I do in the Easter Egg Hunt zone? Click on all the crates, barrels, rocks and bushes trying to find as many eggs as you can. There are only 20 eggs hidden in all the doodads. How do I get a perfect score in the Easter Egg Hunt? You need to collect all 20 eggs - basically not letting any of the other hunters find any. I’m too slow at the Hunt. How can I be better? The NPC with the wizard hat in the event area of the Commons sells boosts for Easter Tokens. Speed up your character and distract the other hunters with his wares. Also, travel in a circle, starting in the area closest to where everyone else is being distracted. And don't click on the searchable items themselves, click beside them. Clicking on the item causes you to walk slower. All quests will be unlocked by the 10th day of the event. Turning in the Unpainted Eggs, the Dye and the Wax as well as completing the Easter Egg Hunt and the quests for the folks in the event area. It increases the amount of progress you get from doing a turn-in. Where can I see the achievements available and how to get them? When can I do the World Wide Easter Egg Hunt? The World Wide Easter Egg Hunt starts on Good Friday - April 19th - and lasts for the rest of the event. Where do I find World Wide Easter Egg Hunt Eggs? Once the hunt has started, you can find eggs by clicking them in many of the zones in the world. Eggs are hidden behind rocks and trees and in tricky to access locations in normal zones, secret areas, and adventure zones all over the world. Not every area has an egg hidden in it. There are 75 eggs hidden throughout the world in total, but you'll need to be done most of the content in the game to find them all. - The Spring pet & mount sale is running from April 5th to Wednesday April 10th, with new pets going on sale each day. - Removed a lag spike often happening after you pick an item from your inventory to place. - Made speed/memory optimizations on the back-end regarding ranch items, in preparation for adding more ranch space. - Expired pets no longer count towards your unique pet count, or to having owned them. - Made light and dark hovels in the Caustic Crag more differentiable, by making the roof thatch of the light hovels lighter. - Clarified the quest description of the “Teotl's Return!” quest, so it’s clear what you must do after you’ve waited a few days. - Changed the name of the store which you buy Dirt Plots from, from “Ye Olde General Store” to “Ye Farmer's Market”. Tags: bw2, march 2019, quest, forests. A representative from the United Villages of Bushwhackia is facilitating tree planting for the Day of Forests! Talk with them in the Commons to get started. 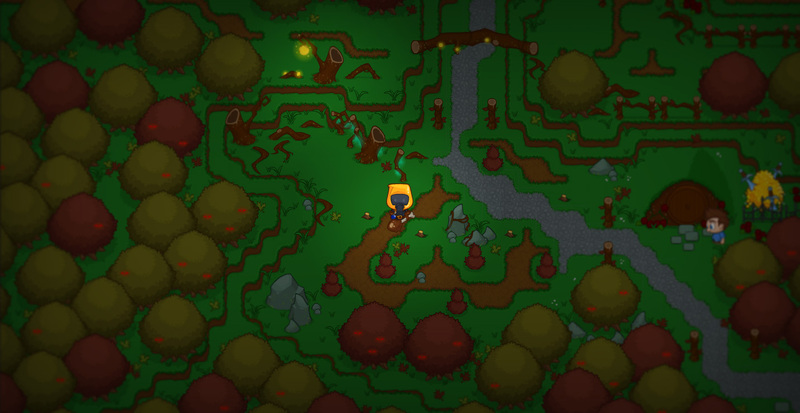 Once you accept the Day(s) of Forests quest, you'll be able to accept repeating Tree Planting quests! For completing each Tree Planting quest, you'll be rewarded with 10 Tree Tokens, and can go tree planting again after an 8 hour cooldown. You can also get Tree Tokens by trading in Pine Beetles, which you can occasionally find with the Day(s) of Forests quest active. You can spend your Tree Tokens in the Ye Forest Awareness Arboretum on unique custom and ranch items. It will be challenging to collect enough Tree Tokens to buy every item in the store. If you can manage it, tree planting twice each day should get you enough tokens for most of the store items. Tree planting ends at noon on Monday April 1st, after which you can still spend tokens until noon on Tuesday April 2nd. 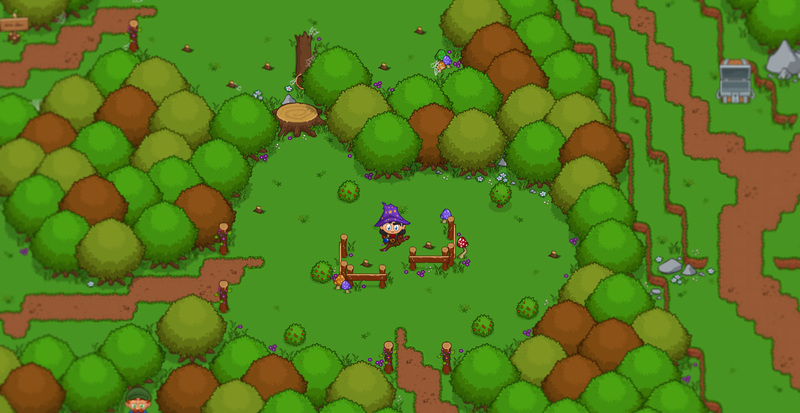 Tags: bw2, march 2019, release notes. - Added new Kaine mystery in the Salt Desert! - Added additional effect filter to Trinket, Pet, and Mount selection popups that allows you to sort by a specific effect type. BW2: Kaine's Caustic Chasm Curiosity! Tags: bw2, kaine, salt desert. 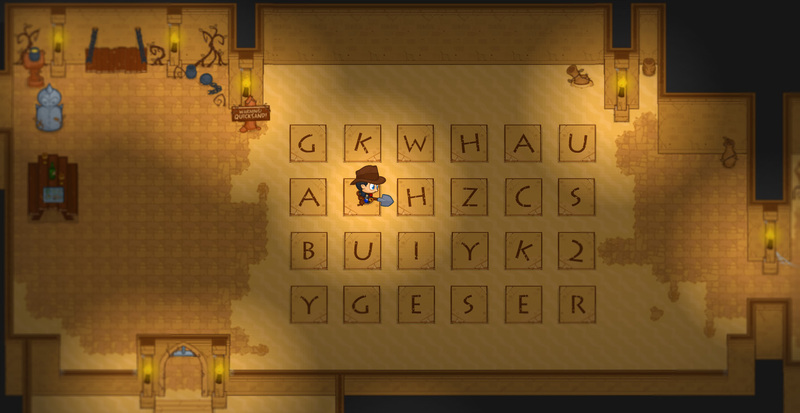 A curious chasm in the Salt Desert has caught Investigator Kaine's attention! If you've completed his High Jungle Mystery and have made it across the Caustic Chasm, talk to the Town Crier in the Commons to get started. In this mystery you'll explore the Caustic Chasm! Post your comments and questions here! - Pet release dialog now has the “Favourites” filter. - Rotated Ghost and Robot pets out of the Island Token store for Poot and Gelatinous Cube. - Added 3 new Amicus trivia questions. - Fixed serpent ranch items being available after the mount has expired. - Added hint for Nate’s Salt Desert adventure to description of the Silver Spanner. Play Bush Whacker 2 Now!